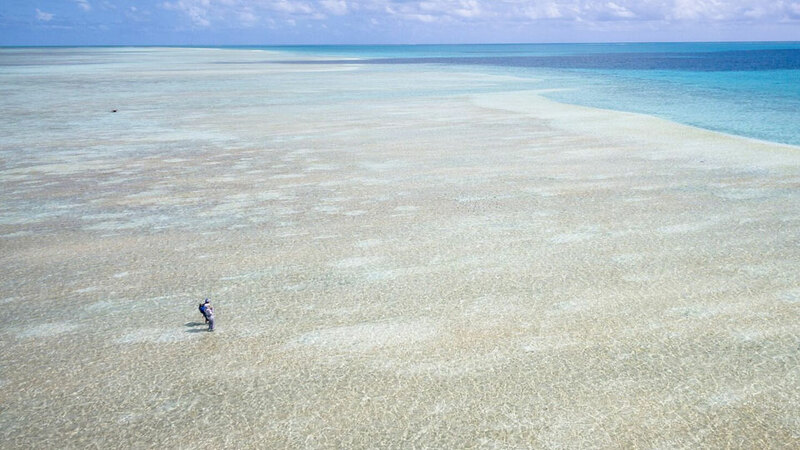 St Brandon’s is a group of over 50 small islands, coral ridges and vast sand flats, in the remote Indian Ocean. Situated 268 nautical miles northeast of Mauritius’s main island this area is rich in fish, flora and fauna. 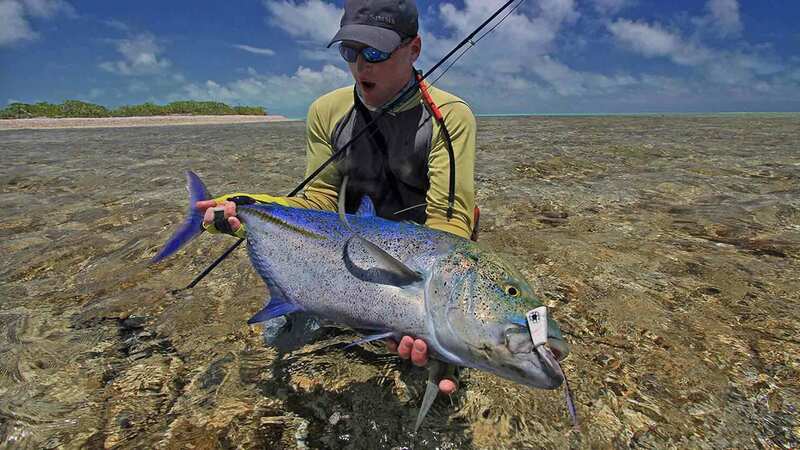 This magical atoll has quickly risen to iconic status for its world-class saltwater fly-fishing. St. Brandon’s offers spectacular bonefishing. 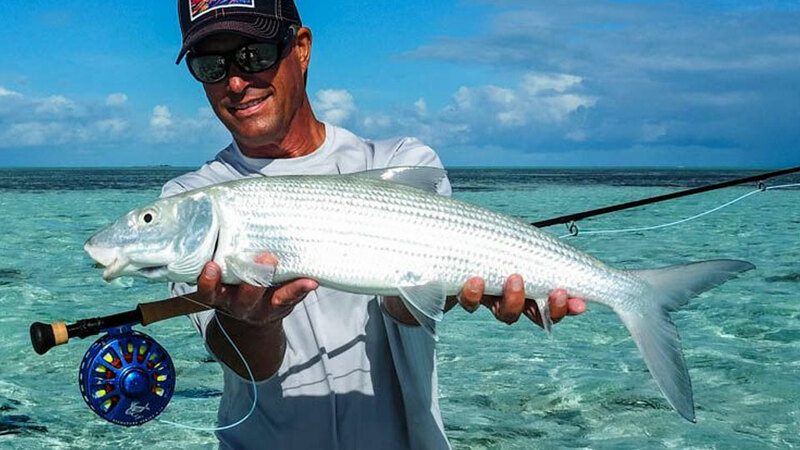 Over the past few seasons, anglers have landed bonefish up to 34-inches and weighing 15-pounds. The hard-white sand, turtle grass, and coral flats of St Brandon’s make for easy wading, separating it from other destinations in the world. Most of the fishing is done while wading. 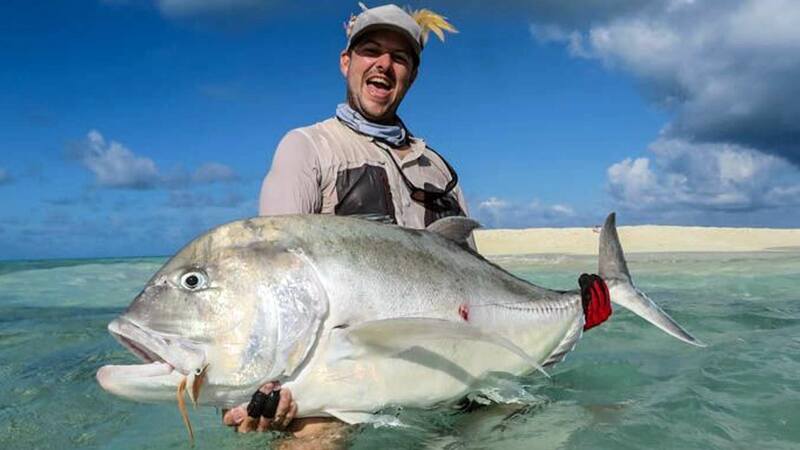 This isn’t a place where anglers are going to get shots at golden trevally every day, but it is certainly the place to catch more that measure over three feet in length than under. 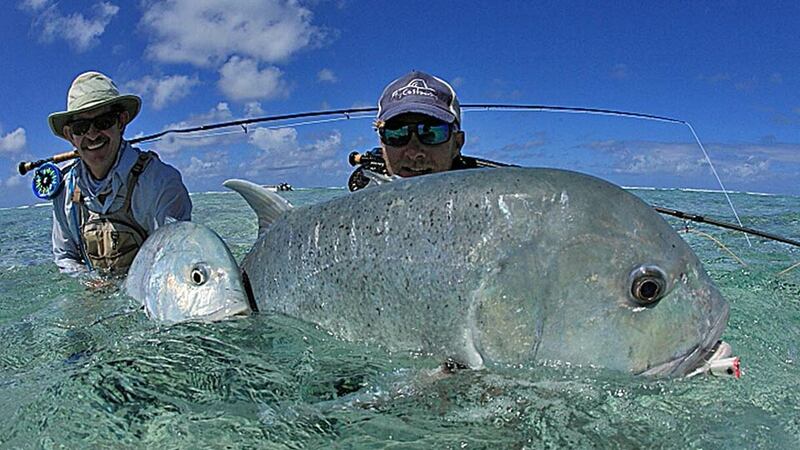 They have seen and hooked GTs well over 60-inches. 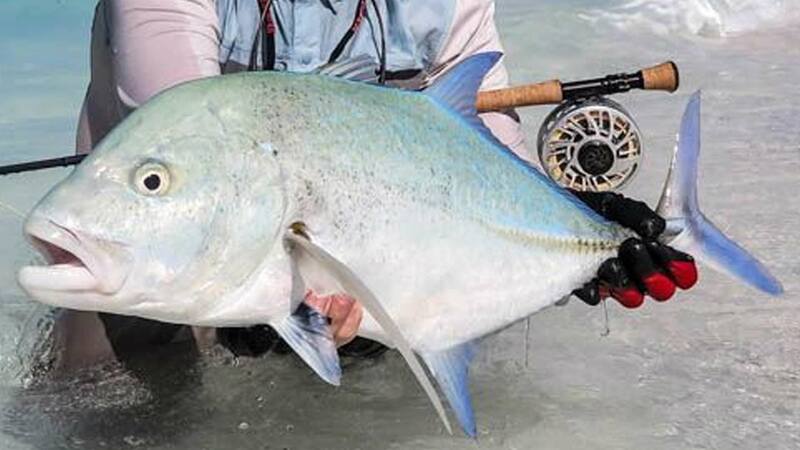 Large bluefin trevally are around in good numbers, and 15-to 20-pounds are frequently landed. 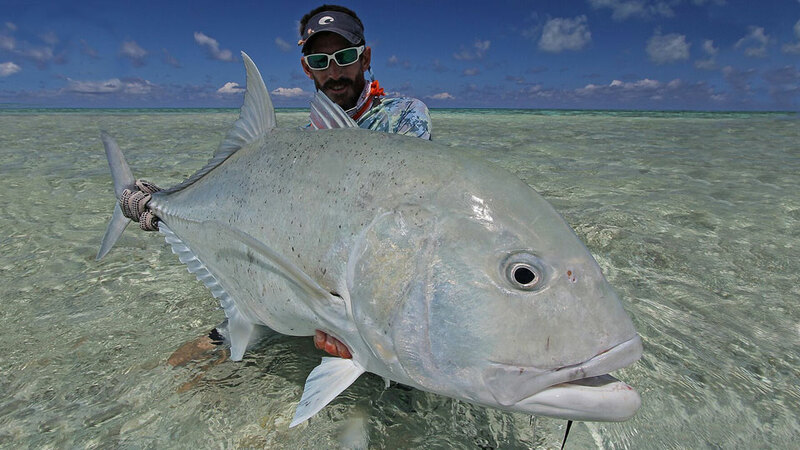 Other notable fish species one can encounter on the flats include golden, yellow dot, and green spot trevally. 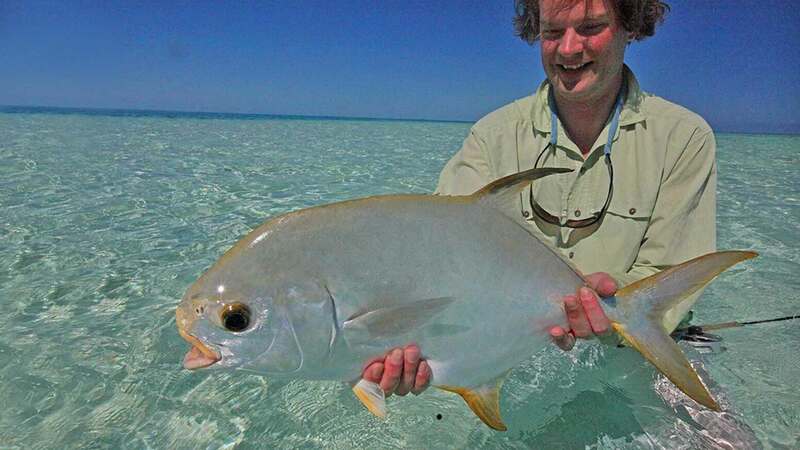 St. Brandon’s is also the most productive Indo-Pacific permit fishery in the Indian Ocean. Two Seasons: April through June and then September through December for peak fishing. 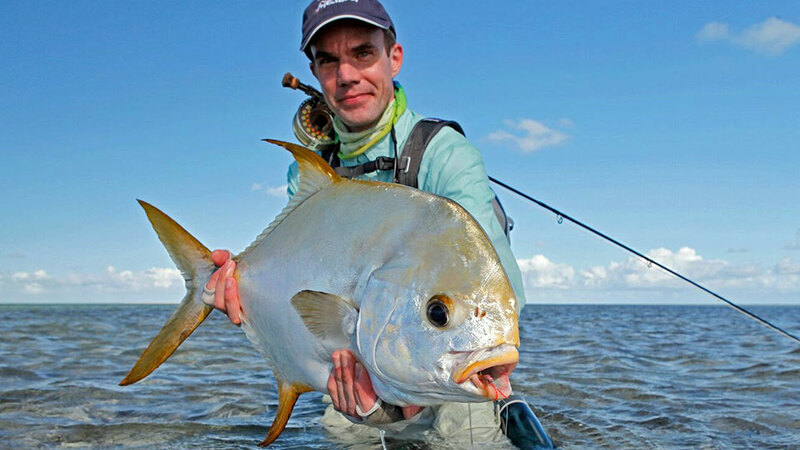 Group size: Six anglers per week and four guides on location. Guides: Professional, English-speaking guides. Two anglers per guide. They recommend that you be in fairly good shape. 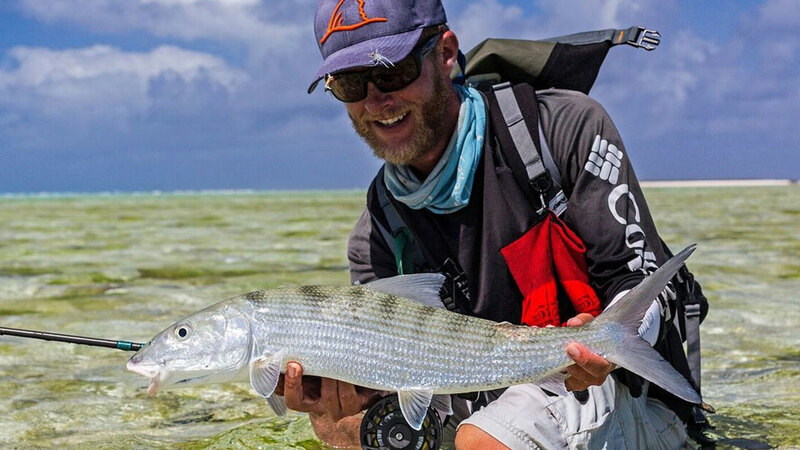 When you're fishing the flats, you'll often be far from shore and you'll need sufficient stamina to wade in the water throughout each day. You’ll be far from any medical assistance, if needed. 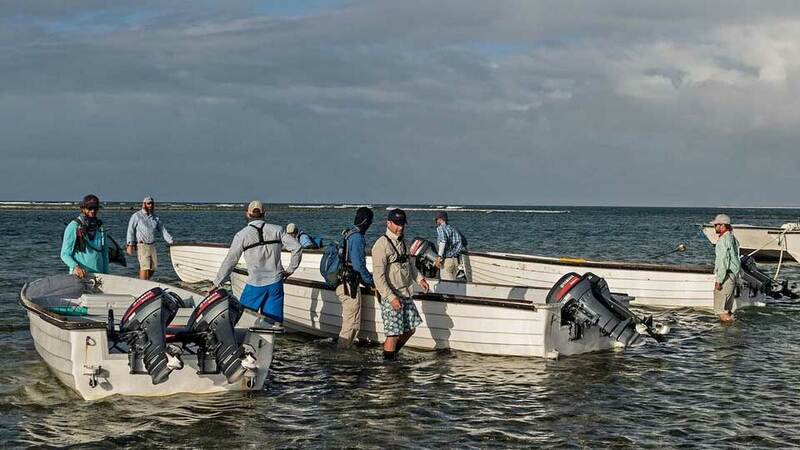 Boats: 18-foot Mauritian-built clinker boats are equipped with two 25-HP Yamaha engines. They are used 95% of the time to transport anglers to flats where they will wade fish. 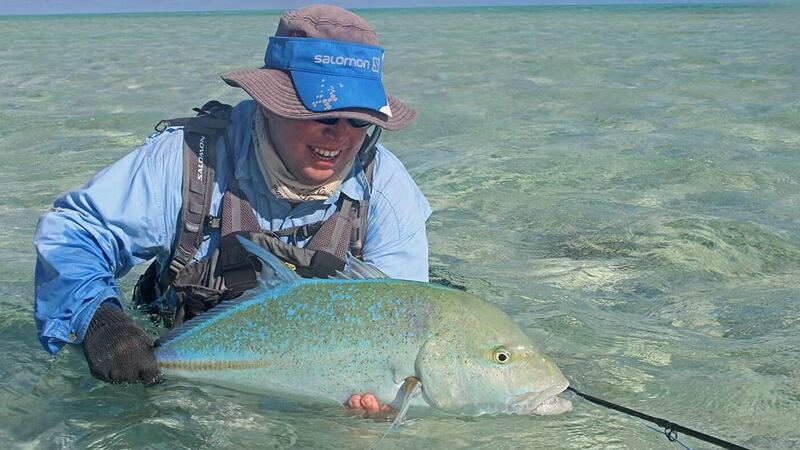 Only when anglers want to fish in deeper waters holding GTs will you cast from the boats. Fishing Licenses: are included in the package. St. Brandon's now has land-based lodging. 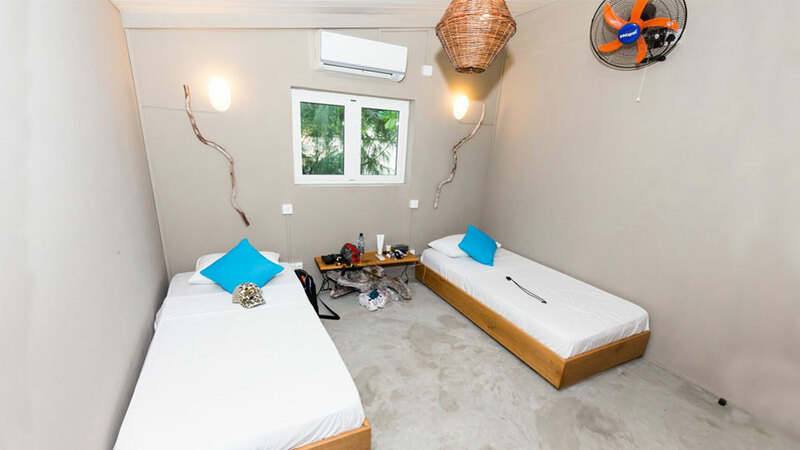 A simple, yet comfortable guesthouse on the northern part of Raphael Island. Approximately 40 people live on the island. There is an easy wading flat (shown above) just yards out front of the guesthouse. The air-conditioned house has four bedrooms and two bathrooms. Generator-run electricity is available at the house, and there are outlets for charging camera batteries. 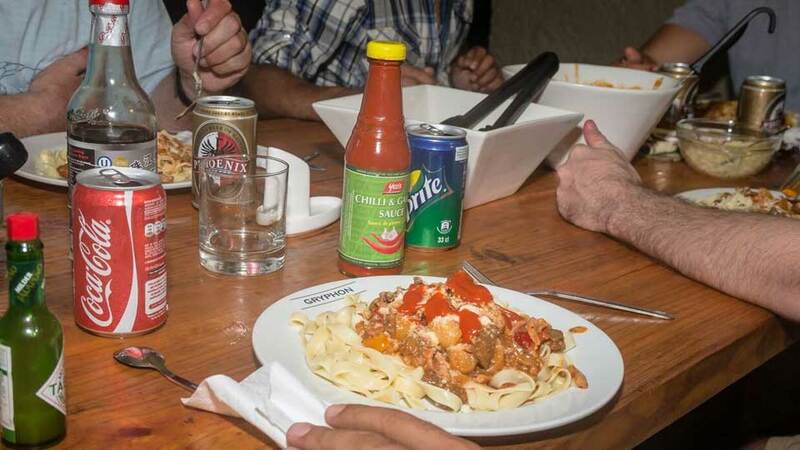 Meals: Meals are a mix of international and Mauritian cuisine. Dinners feature grilled fish and chicken, also possibly a chicken or seafood curry, or an evening or two will feature steak. Soft drinks, water, and local beers are included in the package. 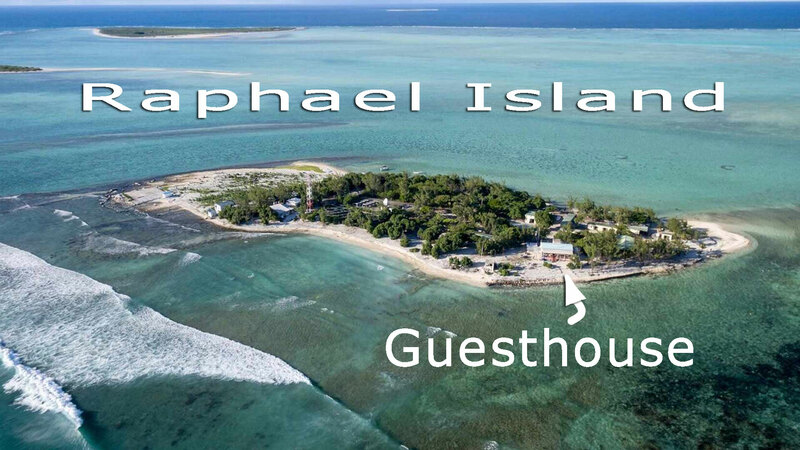 Communications: Raphael Island has a fixed unit satellite phone for $2.00 USD per minute which guests can use at their own expense. Non-angler: There are very few activities on the island for the non-angler. On Sunday, the day before the start of the trip, you'll need to fly to the main island of Mauritius and stay overnight. (Mauritius is an island nation in the Indian Ocean.) The outfitter recommends Le Suffren Hotel as it is located in the same harbor as the transport boats. (In Mauritius, the ground transfers, hotel night, and meals are not included in the package.) On Monday morning your group will be transported from Mauritius to the Atoll on two 64-foot supply vessels. The crossing taking 24-28 hours each way and is included in the package. Currently, there are no aerial options to the Atoll. Roundtrip water transfer between St. Brandon’s and Mauritius on a 64’ supply vessel, 8-nights of double-occupancy accommodations and meals at the Raphael Island guesthouse, 7-days fully guided fishing—two anglers per boat and guide, fishing licenses, use of boats and fuel, soft drinks, water, and local beers. Airfare, ground transfers on Mauritius, meals and accommodations in Port Louis or any other en route city, spirits, wine, items of a personal nature, gratuities for guides and boat staff, travel and medical insurance (Medical Evacuation insurance is required by the outfitter and not included in pkg. ), tackle, flies, or anything not mentioned under inclusions. Friday: Arrive on Mauritius and stay overnight in Port Louis. Saturday: In the morning, you'll board the transfer boats and depart from Port Louis, Mauritius. Sunday: You'll arrive on Raphael Island. If time allows after lunch, you'll fish unguided throughout the afternoon. 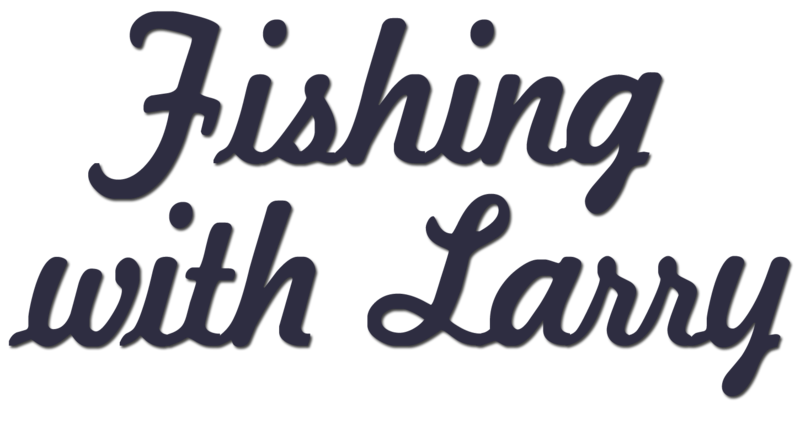 Monday - Saturday: Full days of guided fishing. Sunday: After breakfast, you'll pack up and settle your tab. Mid-morning, the boats depart Raphael Island. Monday: You'll arrive in Port Louis, Mauritius, around midday. Although every effort is made to stick to this schedule, weather and other factors associated with remote locations of this nature can affect timing.